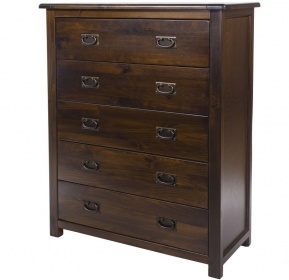 Beautiful chest of drawers with a warm country house feel. Two smaller drawers at the top handy for keeping smaller items organised. Stand alone piece with flat shell metal handles and chunky frame. Team with other pieces from the Sandringham range for a bigger impact. Available in all grey, grey with oak top or cream with oak top. 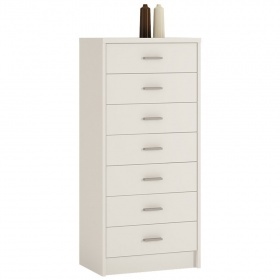 Smooth painted finish with a clear protective lacquer on the cabinet top. Painted finish to the inside of the drawers. High build quality. 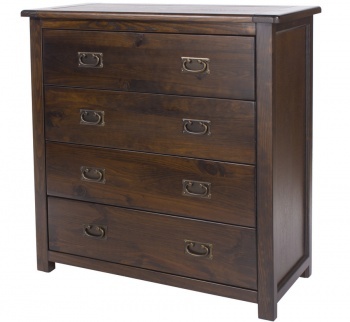 Constructed from solid hardwood with a veneer and oak top.